It is a solution for event organizers and participants. ME collects national and international events in just one app, removing the annoiance of uninstalling it when the event is over, since it always contains up-to-date information. The main functions for organizers are: management and analytic tools, QRCode Registration and visitors matching functions. Furthermore, visitors can use handy planning tools, social network interactions, visitors geolocation and tools like chatting groups, push notifications and personal agenda. In particular the geolocation and bluetooth functions enables participants to easily interconnect before and during the event. Analytic tools are embedded, allowing the supply of detailed statistics the organizer can use to improve the subsequent events. 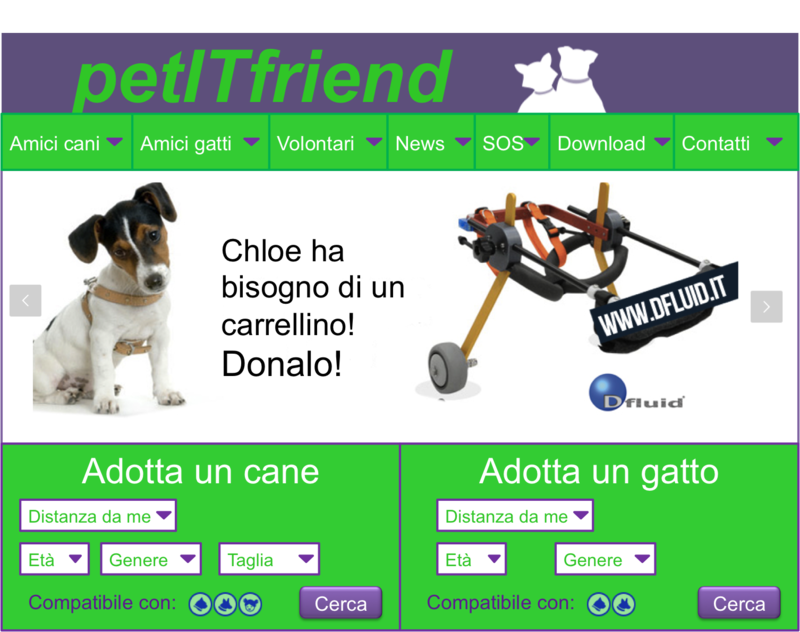 PetITfriend is a web application that promotes dogs adoptions, also at distance, and improves wellbeing of dogs in kennels.